A fixed version of Sony's latest firmware for the PS3 will be out later this week. 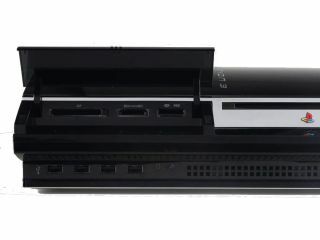 The release comes after the first incarnation was pulled from servers, following reports of users PlayStation 3s being 'bricked' after downloading update v2.40. Sony has told CVG that the fixed version of the firmware update – which adds in game cross media bar (XMB) and a host of other cool features you can read about – should be ready for PlayStation gamers to download on Wednesday 9 July. CVG reports: "According to customer support, firmware version 2.41 – which should be clear of all errors – will be out "midweek", although Sony is yet to make an official announcement to confirm that." It's a bad news month for Sony and Microsoft's games divisions this July, what with the above-mentioned PS3 firmware update issues and new reports that the Xbox 360 Elite is suffering 'red ring of death problems'. What with E3 on the horizon later this month, TechRadar hopes to be able to bring you some more genuinely exciting console hardware news to titillate your gaming glands with, as we stumble through the relative drought of the publisher's summer release schedules.